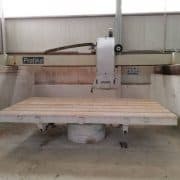 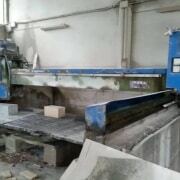 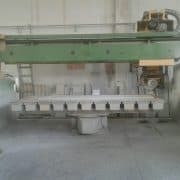 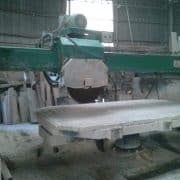 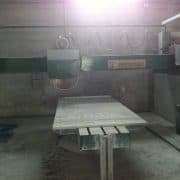 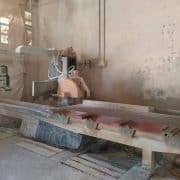 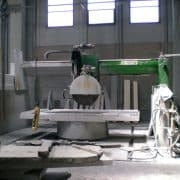 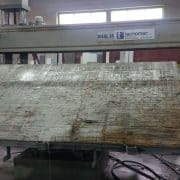 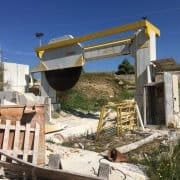 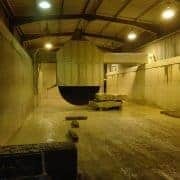 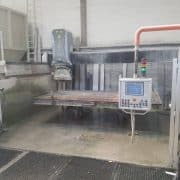 List of used, second-hand bridge saws for marble and granite cutting. 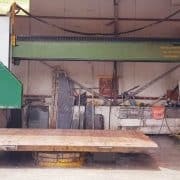 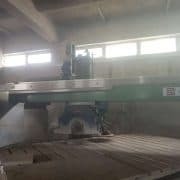 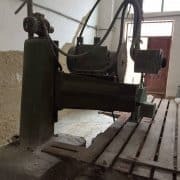 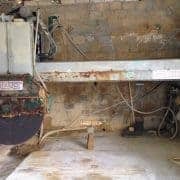 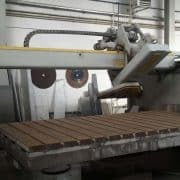 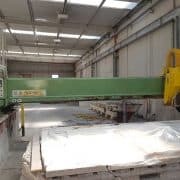 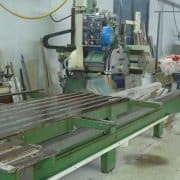 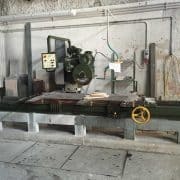 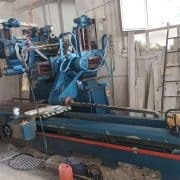 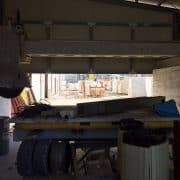 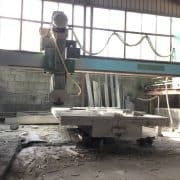 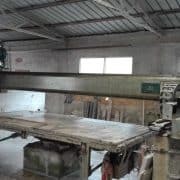 These bridge saws available for sale come from companies that have renewed their machinery or from closed companies and bankruptcies. 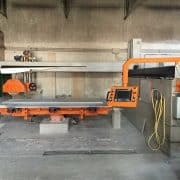 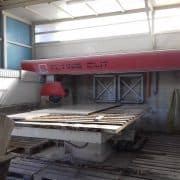 Depending on the type of cutter different processes are possible, the bridge saws differ in size of the blade, table type, control type, number of axes etc.. 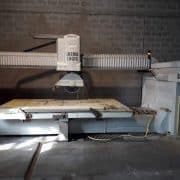 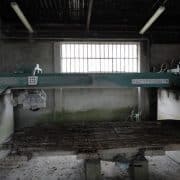 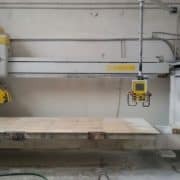 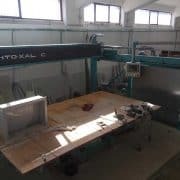 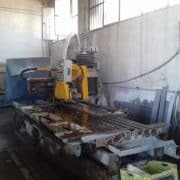 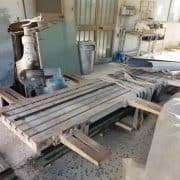 In our workshop, we also recondition and rebuild used bridge saws and other types of cutting machines. 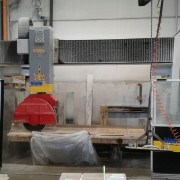 Example of bridge saw reconditioning. 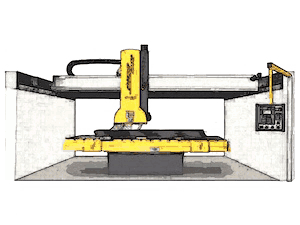 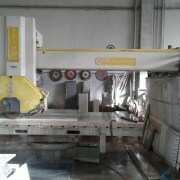 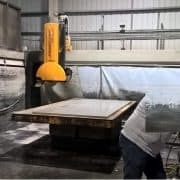 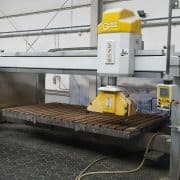 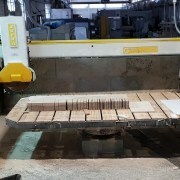 For a quote or more information about a cutter that matches your requirements please contact us. 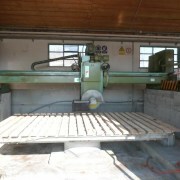 The bridge saw is equipped with a 20 hp motor regulated by an inverter. 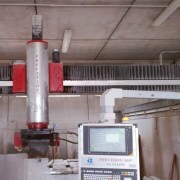 A PLC allows to make multiple cuts with 9 repeatable measurements 99 times each. 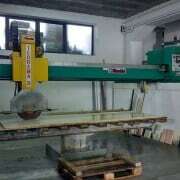 The machine has been completely reconditioned. 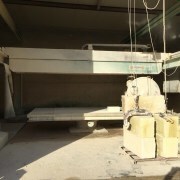 Bellows, covers slides, rack and pinions have been replaced with new spare parts.